Harry Hamster Yippees with apple, sweetcorn & carrot are tasty baked treats fresh from our bakery, made with the wholesome goodness of natural grains and tasty fruit and vegetables. Harry Hamster Yippees are perfect when you want to give your hamsters and other small pets a tasty treat. They can be carefully hand fed to your pets, helping you to build those special moments together. One or two can also be hidden around your pet’s enclosure to encourage natural foraging. Harry Hamster Yippees are also suitable for rabbits, guinea pigs, chinchillas, gerbils, mice and rats. Wheat flour, oatmeal, soya oil, whole wheat flour, sugar, flaked maize (9% in yellow sticks), carrots, apples (9% in green sticks). Feed as a tasty treat to complement your pet’s regular diet. Feed 1â2 treats per day, depending on the size of your pet. Remember to give your hamsters free access to clean drinking water all the time, as well as their daily portion of Harry Hamster Tasty Mix. 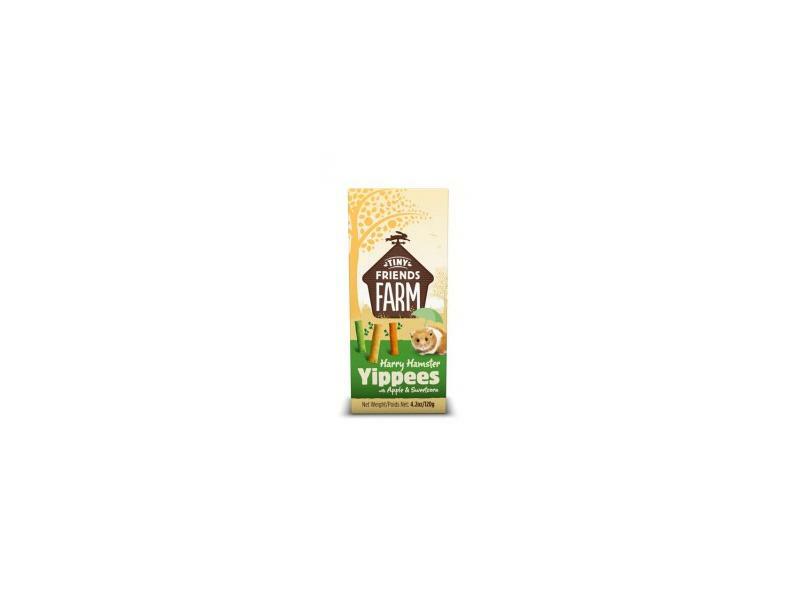 There are currently no questions for Supreme Tiny Friends Farm Harry's Yippees - be the first to ask one!